Two Kinds of Language: Dharmic Language of One who knows Human Language of One who knows not by Buddhadāsa Bhikkhu. A Dhamma lecture delivered on 8th October 1966. Translated by Ariyananda Bhikkhu (Roderick Bucknell). Wat Ananda Metyarama, Singapore, 2513 . 43 p.
In Samsāra Exists Nibbāna by Venerable Buddhadāsa Indapañño. A Dhamma lecture delivered at Suanmokkhabalarama, Chaiya on 2nd June 2511 . Translated from the Thai (ในวัฏฏสงสารมีนิพพาน) by Thawee Sribunruang. Mutual Understanding Between Religions series No. 12. Sublime Life Mission, Bangkok, 2513 . 18 p.
Translated from the Thai (ในวัฏฏสงสารมีนิพพาน) by Thawee Sribunruang. Mutual Understanding Between Religions series No. 12. Buddha-Nigama, Chiangmai, 2513 . 18 p.
Why Were We Born? by Venerable Buddhadāsa Indapañño. Two Dhamma lectures delivered at Suanmokkhabalarama, Chaiya, on 21th and 28th July 2508 . Translated by Ariyananda Bhikkhu (Roderick Bucknell). Mutual Understanding Between Religions series No. 11. Sublime Life Mission, Bangkok, 2514 . 32 p.
Toward the Truth by Buddhadāsa. Being Toward the Truth of Buddhism, Everyday Language and Dhamma Language, No Religion!, and Handbook for Mankind. Another Kind of Birth by Buddhadāsa Bhikkhu. A Dhamma lecture delivered in Phatthalung on 16th July 1969. Translated from the Thai (ความเกิดที่คนยังไม่รู้จัก) by R.B. [Ariyananda Bhikkhu (Roderick Bucknell)]. Printed by Sivaphorn Limited, Bangkok, 2517 . 34 p.
The Danger of 'I' by Bhikkhu Buddhadasa. [Originally published as Another Kind of Birth]. Translated from the Thai (ความเกิดที่คนยังไม่รู้จัก) by Ariyananda Bhikkhu (Roderick Bucknell). Buddhist Missionary Society, Kuala Lumpur, 1974. 30 p.
A lecture delivered on 8th October 1966. Translated by Ariyananda Bhikkhu [Roderick Bucknell]. Sublime Life Mission, Bangkok, 2517 . 42 p.
Mindfulness of Breathing (Ānāpānasati) by Ven. Ācariya Buddhadāsa. A Dhamma lecture to students and teachers of Thammasat University delivered at Suanmokkhabalarama Monastery, Chaiya, on 23rd June 2517/1974. 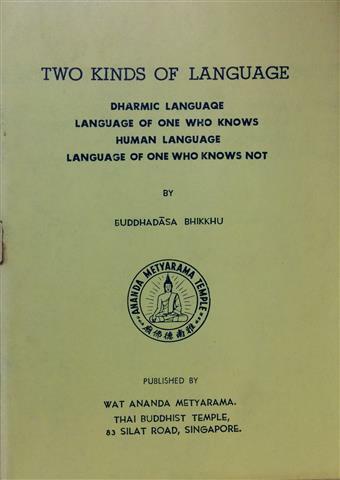 Translated by Bhikkhu Nāgasena. Sublime Life Mission, Bangkok, 2518/1975. 32 p.
Ānāpānasati (Mindfulness of Breathing): Vol. I The Sixteen Steps to Awakening by Buddhadāsa Bhikkhu. Translated from the Thai (อานาปานสติภาวนา) by Bhikkhu Nāgasena. 2nd edition. Sublime Life Mission, Bangkok, 2519/1976. 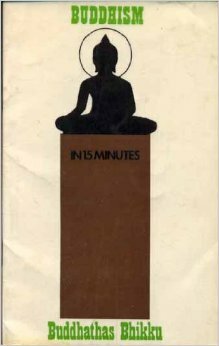 172 p.
Buddhism in 15 minutes by Buddhathas Bhikkhu. Translated by H. G. Grether. 2nd edition. Suriyaban Publishers, Bangkok, 1976. 21 p.
Emancipation from the World by Buddhadasa Bhikkhu. Being chapter IX of Handbook for Mankind. "The Three Fold Training" by Buddhadasa Bhikkhu. Being chapter V of Handbook for Mankind. Translated by Ariyananda Bhikkhu. 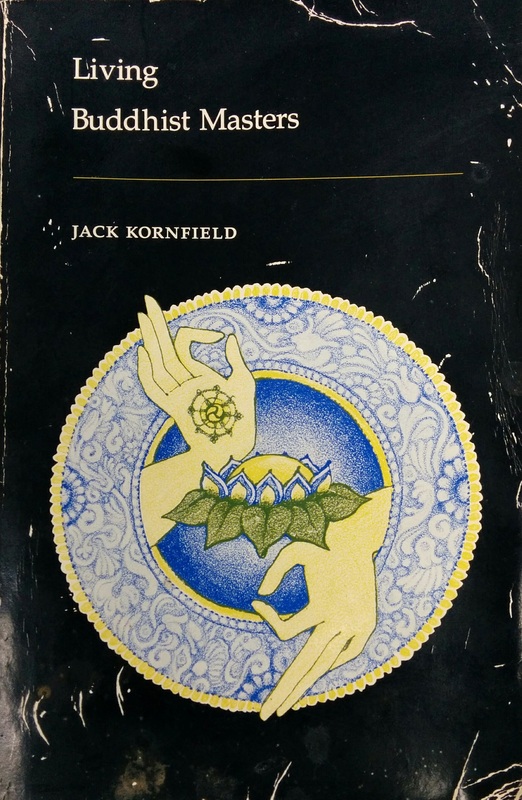 In: The Maha Bodhi, Volume 84 November-December 1976, pp. 378-382. Maha Bodhi Society, Calcutta, 1976. Translated by Ariyananda Bhikkhu. In: Living Buddhist Masters by Jack Kornfield, pp. 116-129. Unity Press, Santa Cruz, 1977.